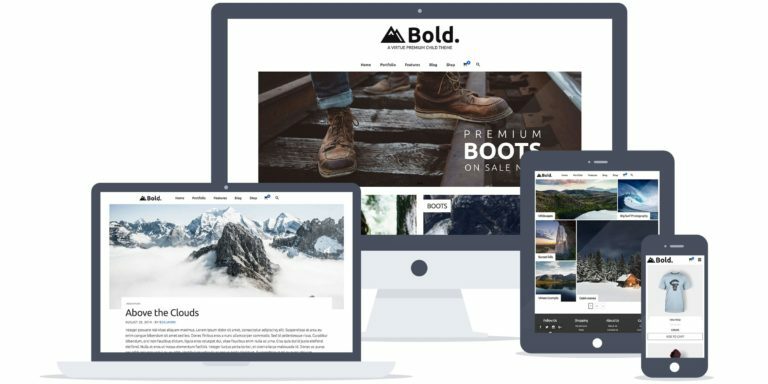 Virtue Bold is a premium child theme built on the power of Virtue Premium but accomplishes its own unique, bold style. It requires Virtue Premium to be installed on your site and adds some changes to the way Virtue outputs content from posts to products. 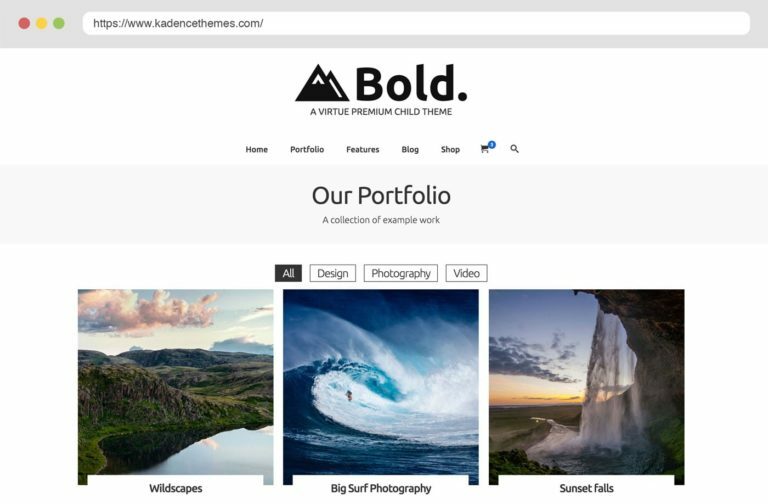 Virtue Bold adds a content image overlay for just about every type of post output. 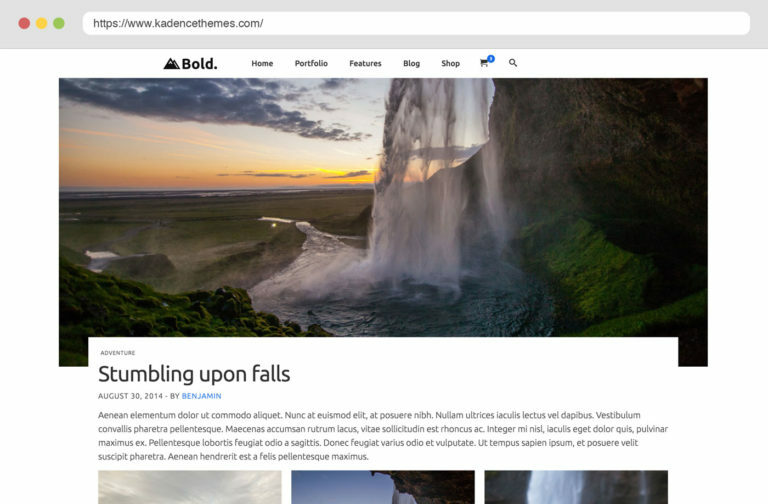 This creates a unique interaction between the image and content. 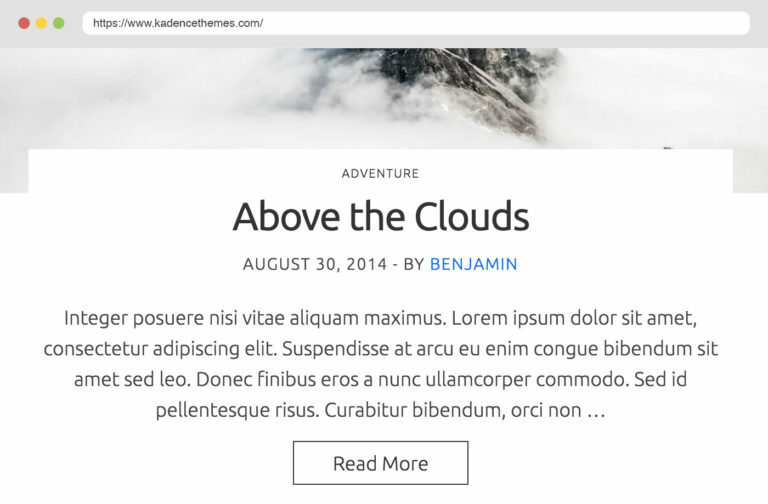 In Virtue bold the page title is a fullwidth area by default. We've re-arranged how post meta content shows from the date to the categories.